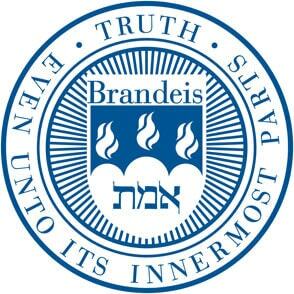 Characterized by academic excellence since its founding in 1948, Brandeis is one of the youngest private research universities, as well as the only nonsectarian Jewish-sponsored college or university in the United States. Named for the late Justice Louis Dembitz Brandeis of the U.S. Supreme Court, Brandeis University combines the faculty and resources of a world-class research institution with the intimacy and personal attention of a small liberal arts college. For students that means unsurpassed access — both in and out of the classroom — to a faculty renowned for groundbreaking research, scholarship and artistic output. At Brandeis professors bring newly minted knowledge straight from the field or lab to the graduate and undergraduate classrooms. Brandeis supports an innovative and exciting program of learning that emphasizes an interdisciplinary approach to knowledge and the solution of real-life problems. Undergraduates, from the very first year, enjoy leadership positions and research opportunities typically available only to upperclass and graduate students. Over the years, Brandeis University Press – the institution’s publishing arm – has won several National Jewish Books Awards and been shortlisted as a finalist multiple times. The university describes itself as a liberal arts college, a global research university and a hub of scholars and students devoted to ‘the pursuit of knowledge and its transmission from generation to generation’. Being a research institute, it emphasises the progression of the arts and humanities, and social, natural and physical science. As a university focussing on the liberal arts, it believes in the need for students to have a ‘broad and critical education’ to enhance their lives and enable them to fully participate in an evolving society. Within its faculty, the university comprises fellows of both the American Association for Advancement of Science and the American Academy of Arts and Sciences, as well as members of the National Academies, Howard Hughes medical investigators and MacArthur fellows. Pulitzer Prize winners, leading authors and a Nobel laureate can be found among the university’s alumni, as well as the creators of the American television series Friends, David Crane and Marta Kauffman. Among the better-known graduates are co-creators of the television show Friends David Crane and Marta Kauffman, political activists Abbie Hoffman and Angela Davis, journalists Thomas Friedman and Paul Solman, Congressman Stephen J. Solarz, physicist and Fields medalist Edward Witten, novelist Ha Jin, political theorist Michael Walzer, actress Debra Messing, philosopher Michael Sandel, Olympic Silver Medalist fencer Tim Morehouse, social and psychoanalytic theorist Nancy Chodorow, author Mitch Albom, filmmaker Jonathan Newman, music producer Jon Landau, computer scientist Leslie Lamport and Department of Justice Inspector General Michael Horowitz. Brandeis is ranked in the top tier of the nation's universities. Universities’ graduates depart is to pursue careers in a wide array of fields, and advanced studies in the nation's leading graduate and professional schools. Brandeis was tied for 34th among national universities in the United States in the U.S. News & World Report rankings 2015. Forbes listed Brandeis as 36th nationally for research and the 37th for entrepreneurship 2016. Times ranks it 185th globally while USA Today ranks it among the top 10 in the country for economics in 2016. The most popular majors in Brandeis are Biology/Biological Sciences, Economics and Psychology. The university has a strong liberal arts focus and a quarter of its students come from outside the United States. The university is also home to the Heller School, ranked as one of the top 10 policy schools in the United States. The university is located in Waltham, Massachusetts. It is 14 km west of Boston and is accessible through Brandeis/Roberts station on the Fitchburg Commuter Rail Line, a free shuttle that services Boston and Cambridge (Harvard Square) Thursday through Sunday, the nearby above ground Riverside subway station on the Green Line, and the 553 MBTA Bus. Boston is also the nearest city with an airport.